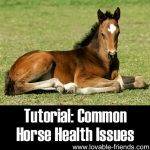 We found a great tutorial on checking a horse’s health. 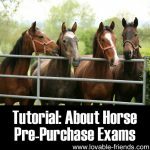 Link follows after our introduction to the topic… Checking the horse’s health on a regular basis is considered to be one of the vital responsibilities of an owner. 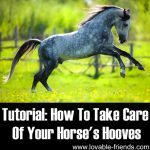 The health of horses play a crucial part in their performance in competitions, as well as in the amount of pleasure they can give to their owners. 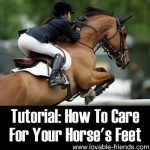 Performing a regular physical examination is beneficial in detecting any signs of illness or injury in horses which can hamper their ability to perform their daily functions later on. 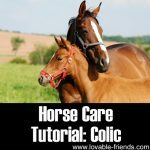 Early detection of illnesses, especially serious ones, brings a number of benefits not just to the owners but to the horse as well. 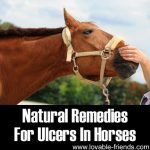 There are conditions which, when not treated immediately, can result in fatal damage to the health of the horse – and even put other horses at risk: In extreme cases, there’s no other way of preventing the spread of disease to other equines but to kill the infected ones. 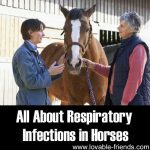 Imagine the financial loss you would incur if a number of horses in the stable are already infected with a contagious disease. 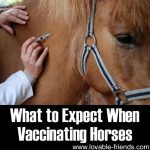 Also, early identification of diseases enable owners to separate the infected ones, thereby preventing the spread of transmissible health conditions. When conducting regular physical examinations, some of the areas which need to be focused on include the eyes, the ears, and the nose. 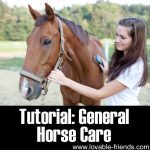 The horse’s mucous membrane must also be checked. To make sure that it’s healthy, it should be moist, slippery, shiny and pink. 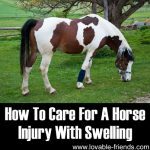 Otherwise, it could be a sign that the equine could be suffering from an illness. 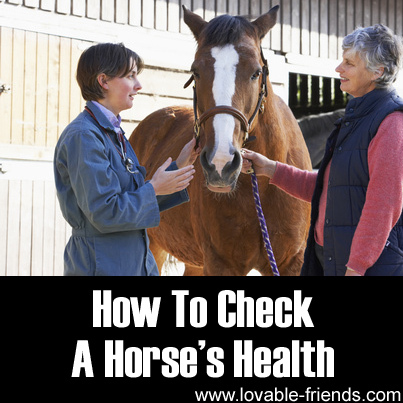 The horse’s respiratory, heart and pulse rates as well as the temperature should also be thoroughly checked. 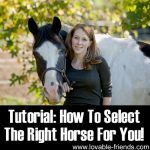 However, it should be noted that the breathing as well as the heart rates may vary significantly depending on the fitness and health of the horse. 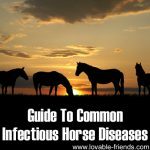 These records could be of great help to veterinarians in determining the actual condition of the horse. 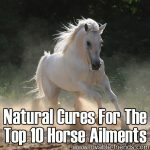 Also, check for other signs of malaise or injury which may include swelling, seizures, change in appetite, unusual behaviors such as shivering, staggering, aggression, limping, and persistent cough. 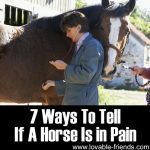 When you suspect that there is something wrong with your horse, immediately call the attention of a veterinarian.